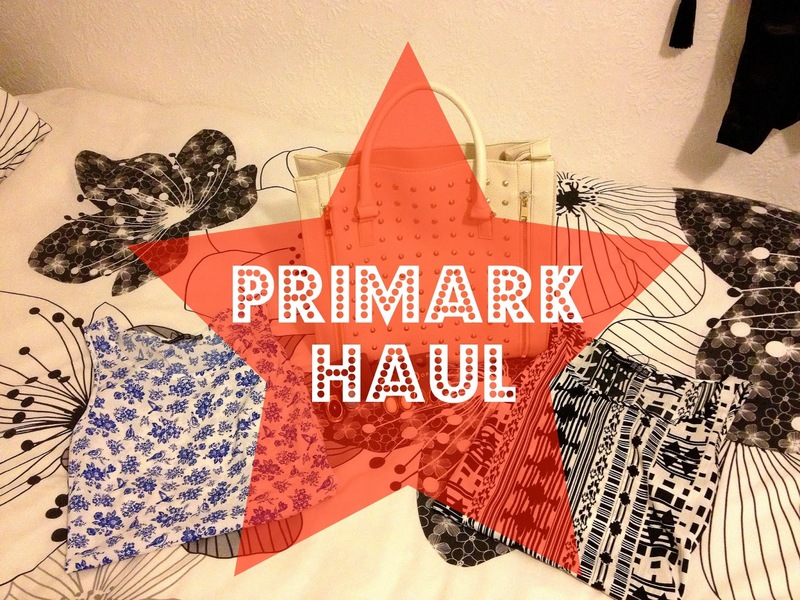 No shopping trip is complete without a trip to good old Primark! However, like many other bloggers have stated their prices are definitely going up regarding some items (I picked up a jacket the other day which once over would have been around £15-£20; they wanted £39.99!) This is isn't a massive haul, I just picked up a few items which took my fancy. I love these little cami blouses Primark have been getting in for the new season. This monochrome aztec one will look great with a pair of jeans/black trousers or even a nice pair of black shorts. I also got the top in this vintage blue pattern which I fell in love with straight away - I'm not usually a fan of birds on clothing but loved this print so just had to have it. Both of these tops are a little longer at the back than the front meaning they will be great either tucked in or left out. What's even better is they only cost £4 each! Whilst on my trip to Primark, I also picked up this 'Salt and Pepper' Jacket. Just before going into Primark, I had looked at one which was pretty much identical in New Look however; the one in New Look was £25 and I wasn't overly keen on it and wasn't sure if it was me. But when I walked into Primark and saw this for only £7 instead of £16 I thought what the heck and bought it. This bag was the main reason I went into Primark - after someone uploaded a picture to Instagram of it, I knew I had to have it! It is absolutely gorgeous for the Spring/Summer months as I usually struggle to find nice white bag for the summer as they always tend to be too small but this is the perfect size for fitting all of your essentials (and more!) inside. It also looks great quality considering it was only £12. I then headed to the jewellery section and was seriously impressed with the selection they had. I picked up these earrings in both the cream and the black; I really like earrings like this because they can still be seen when I have my hair down (which is 99.9% of the time). 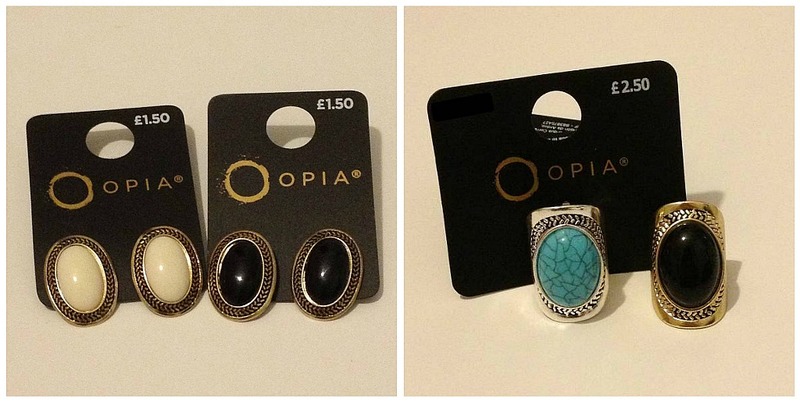 I then picked up these two statement rings because I have a serious obsession over rings. As you can probably see, the black one matches the black earrings however, they had sold out of the cream version in my size. 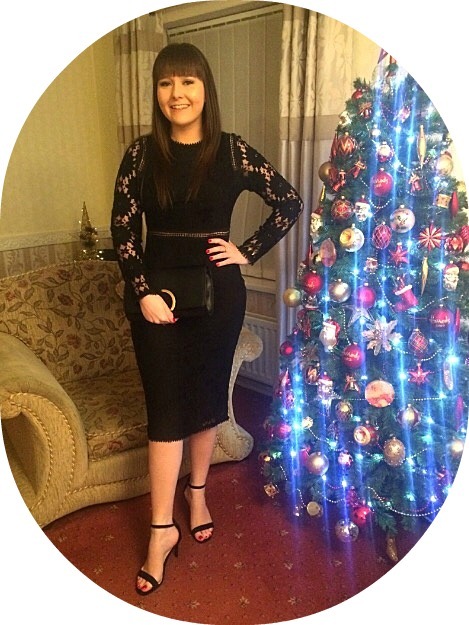 Have you recently picked up anything nice from Primark? As soon as I saw it I had to have it! Aw wow! Great haul post! I love the rings! I love the two camis you bought, haven't been to Primark in ages I miss it! They had quite a few to choose from but I loved these two prints. Thanks lovely, I'll definitely take a look at yours! I love the rings too and especially the price!